Cara’s moved to one store so she can focus on designing more, YEAH! As I get my life more in order I’ll have more stuff to play with – that is always good! 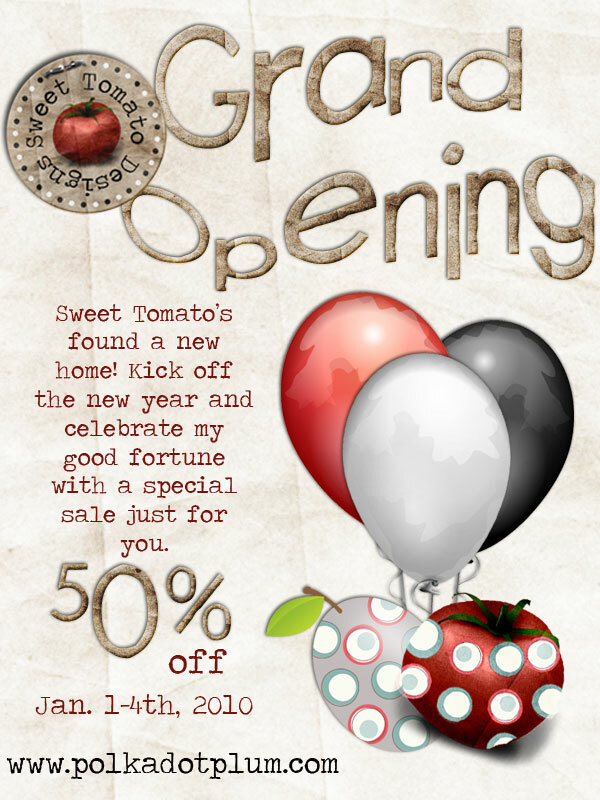 So make sure to check out her new store that opened today at PolkaDotPlum! And to give you a little push (like you really need it right?) here is something I created with Cara’s kit Ordinary Moments which you can get at the PolkaDotPlum store 50% off! I loved creating this and hope (cross my fingers) to be able to create a page where you can replace the date with a picture from that day. 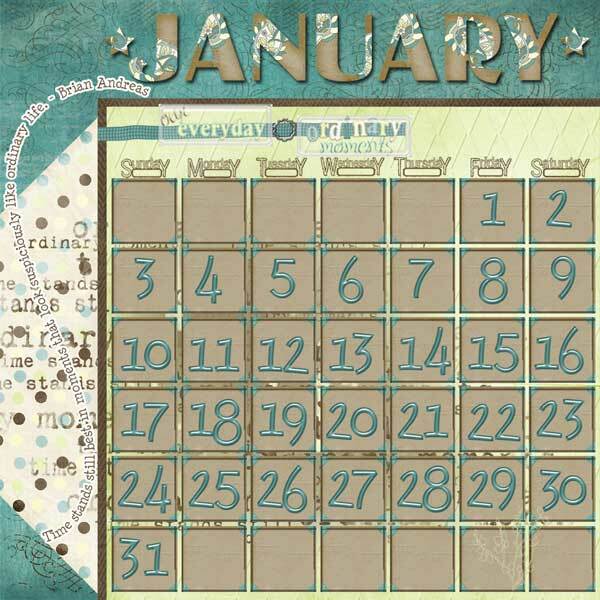 There are many different designers and scrapbookers out there doing many different things to try and keep track of what happens in life so you can look back through the whole year. This is my take on it, and who knows I might just get inspired to do one of these for each month. We will see how it goes. We have a recovering kid (was sick all night) here today so I haven’t had a chance yet. But maybe later this weekend. I hope you enjoy and if I get the other idea completed then I will make sure to post an update! Happy New Year and stay warm everyone.